At iZoom Graphics, we believe in offering many choices to our customers. That's why you'll have from 14 letterstyles, 24 colors, and several formats to create just the right look. We keep your order information in our database, so if you ever need to replace a number or need to add a class letter, we'll be able to match your previous order perfectly. Our magnetic graphics are manufactured from high pole count sheeting that won't blow off and are overlaid with the highest quality cast vinyl for competition graphics that won't fade, crack or delaminate. 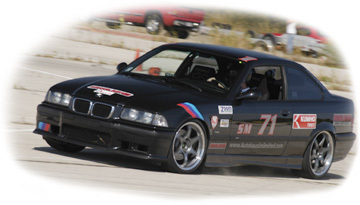 Our reusable graphics were developed for those who drive fiberglass, aluminum or composite bodied cars. They are manufactured from a heavy mil reusable adhesive vinyl so they won't stretch or shrink like static cling does, plus they hold tight so they won't blow off, even in rain. Reusable vinyl graphics have up to a two year life when used according to instructions.